Another amazing quality product from PF! I did t want to take the canvas out of the artists original frame so I just added this frame around it to really lift the PC. Beautiful frame, well made, the mailing wrapper was very secure. Ive painted on canvas for years, Picture Frames is the best place to shop for value and choices. My first frame arrived damaged, but the customer service staff helped out and I have received the frame damage free this time! Thank you! Hello Margo! We are pleased to know that the replacement order arrived in perfect condition. We know you have other framing companies to choose from,and we are grateful that you allowed us to provide you with your framing needs. Happy Framing! Beautiful frame made with excellent quality craftsmanship and materials. Finished product looked even better than preview pictures shown online. Came packaged with care so that no damage could occur during shipping. Shipping time was within timeframe expected. I feel that the finished product, along with glass, double matting and foam core board was well worth the money I spent for it. I would definitely purchase another frame from this company. This frame is perfect for the print. It matches the coloring well. It is well constructed. After looking at many frames online and in the stores, this was the best. I was very impressed with this frame. It is very well constructed. As it is a very large frame , one would expect some wobbling when handling it but that is not the case. The design and finish are very handsome and well cured. I highly recommend this product. You will be more than pleased. And the service and turn around time were superb. 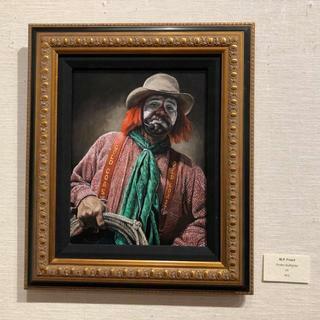 This frame made a nice presentation for my portrait. I used it with a black linen liner. This frame made a nice presentation for my portrait, I used it with a black linen liner. Excellent product and really easy to hang. My painting looks awesome, the color compliments it. Love this frame. Luxe and classic. Definitely eye-catching! This beautiful frame was sent quite rapidly. It was safely packed. 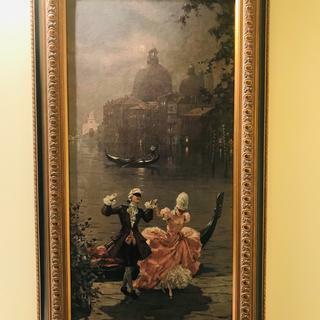 As my first somewhat ornate frame, this beauty has earned marvelously awesome reactions. Thanks Pictureframes! 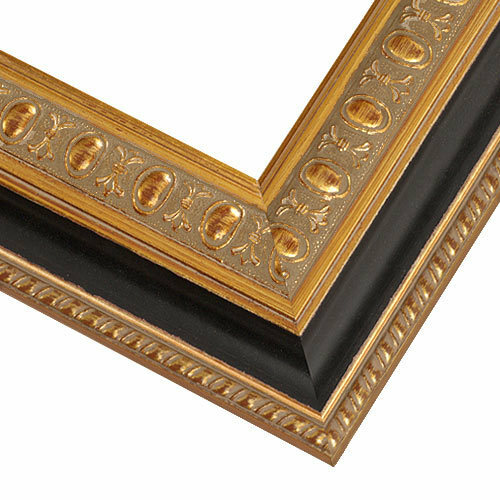 This is a beautiful frame suitable for colonial or neoclassical decor. They look very professional and the service was outstanding. the frame is excellent, it goes great with my picture. If I plan on more I'll be sure to contact you folks. Like the clips too! It best maches the certificate I'm framing for a friend. The gold and the black match some of the colors in the print. And a classic design. Because I have one just like it that I purchased years ago, and I am very familiar with the look. I know it will work, it's very good looking. 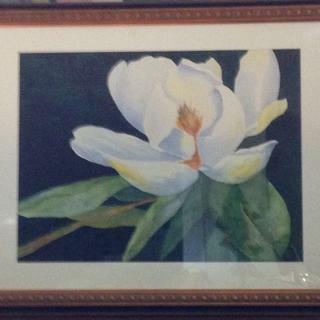 I just finished a full sheet watercolor painting of a Magnolia with black background. This frame seemed to fit style-wise. Hope it sells! Like the gold/black combination and not too ornate or too plain/contemporary. Many of my canvas prints are Botticelli, Waterhouse, DaVinci,, etc, and this frame works well for these artists and many others. Ornateness, contrast of black and gold is consistent with the theme of the photo collage it will frame. And, you can't beat the price! We ordered 3ea 30x40 frames with a black mat to go in an educational building. A Very classic look. It was the most aesthetically pleasing frame for a photo that was primarily black with white accents. To match another. Very classy! Framing a vintage photo of my family. A very pretty frame, for a very pretty new picture! Very classy-looking. They look like good quality. I chose this frame because I will be ordering lengths of the same material to use as molding in my bathroom. It matches the color scheme, crystal, and decor and I can't wait to tie the pictures and molding together! Very beautiful. Gold is rich and the frame is well made. can I save shipping costs if you send it unassembeled? BEST ANSWER: Shipping charges are based on weight and package dimensions. I'm sure you would save a few dollars, but my experience was that it wasn't a significant difference for me. In addition, it was a major convenience to have it arrive at my home and be available for immediate use. Yes, just order the frame and request it be sent unassembled. That is exactly what I did and shipping was only 25% of the cost of assembled plus I was sent a 30% off coupon for my next purchase. Hi john. We can certainly set up a quote with shipping costs for you. This would need to be done by phone at 1-800-332-8884. We are in the office Monday-Friday 8am-7pm eastern time. Thank you! What is the width of the frame? BEST ANSWER: Hello! 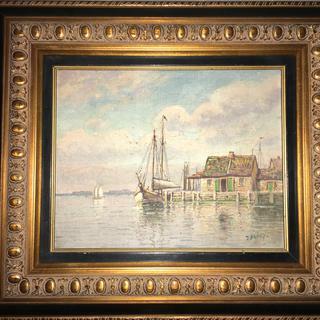 The width of the frame is 5 1/4". Thanks!